Gucci Sterling Silver and Enamel Bracelet. 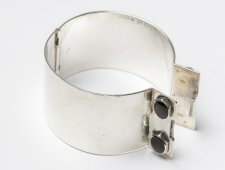 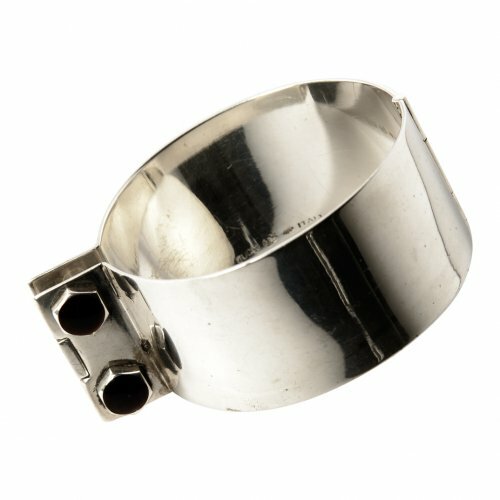 Circa 1970s, polished silver with tension clasp. 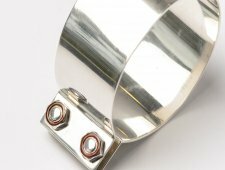 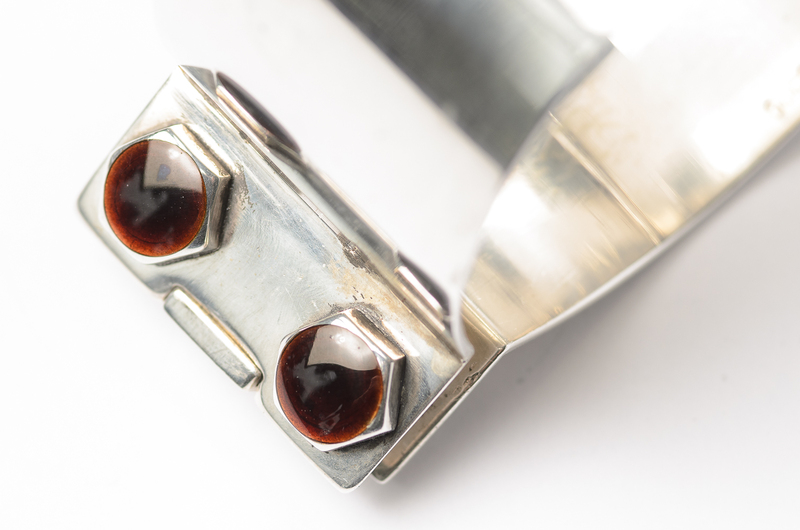 The clasp is fashioned to look like two bolts. 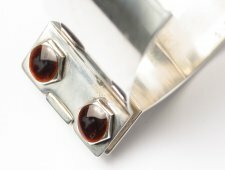 They are capped with deep root beer colored enamel. 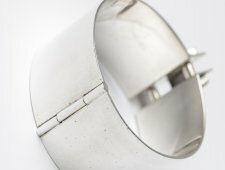 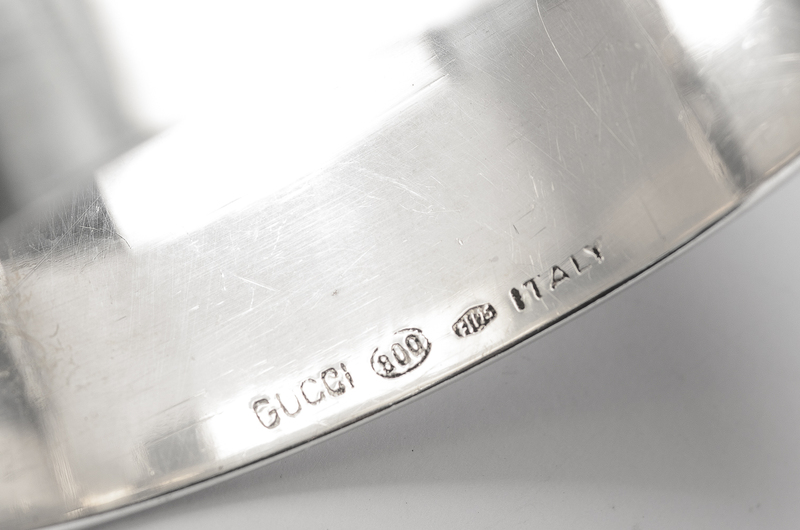 Marked Gucci 800 Italy, the piece measures 6 inches around the wrist, and just under 1.25 inches wide.